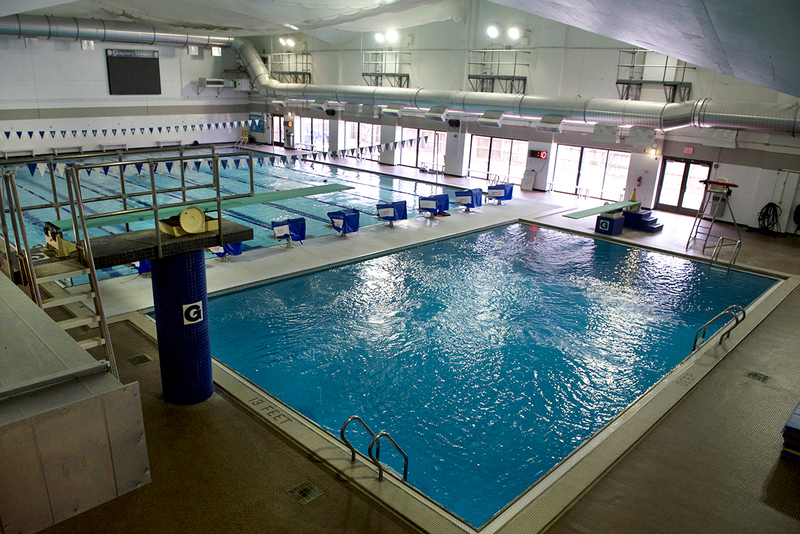 A 25-yard indoor pool with eight lanes and a separate diving well. Overlooking the pool is the John E. (C ’48, L ’51) and L.F. (C ’49) Rooney Pool Gallery, which was renovated in 1998 through the generosity of the children and grandchildren of Dr. Thomas D. Stapleton (C ’34, M ’38). 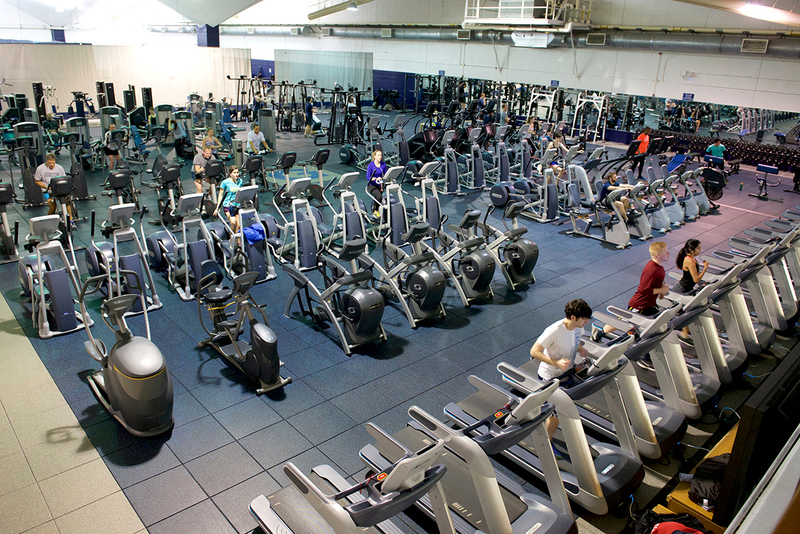 Yates has over seventy pieces of cardiovascular training equipment grouped together on the main floor. Seven televisions linked to DirectTV® and one to MTV-U provide entertainment during your workout. 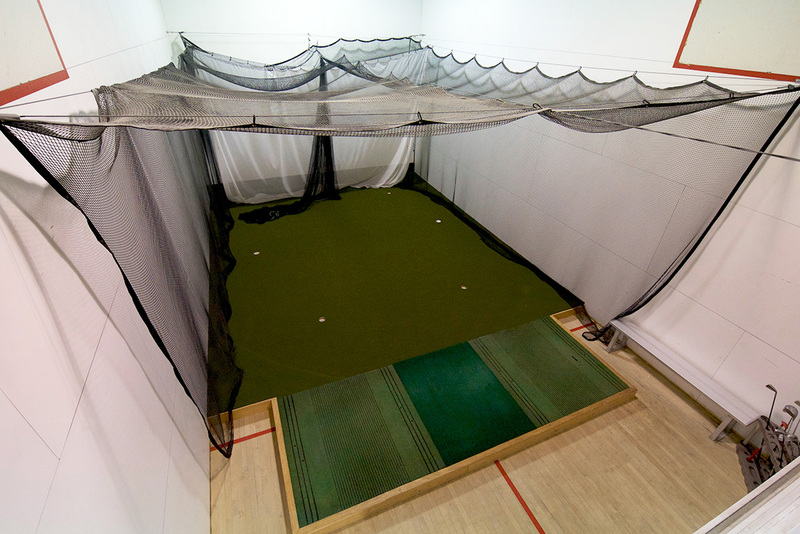 The Yates indoor netted golf practice facility was donated by Maura (N’76) and Brian (B’76) Devany in memory of Tom Galvin (B’90) and Joseph Shea (B’76) who lost their lives in the 9/11 attack on the World Trade Center. The space includes two hitting areas and a putting green. All activity in the golf court is first come, first serve. During the academic year, the court is closed for LRED class on Tuesdays and Thursdays from 11am-12pm. Balls and clubs are available in the Equipment Checkout. 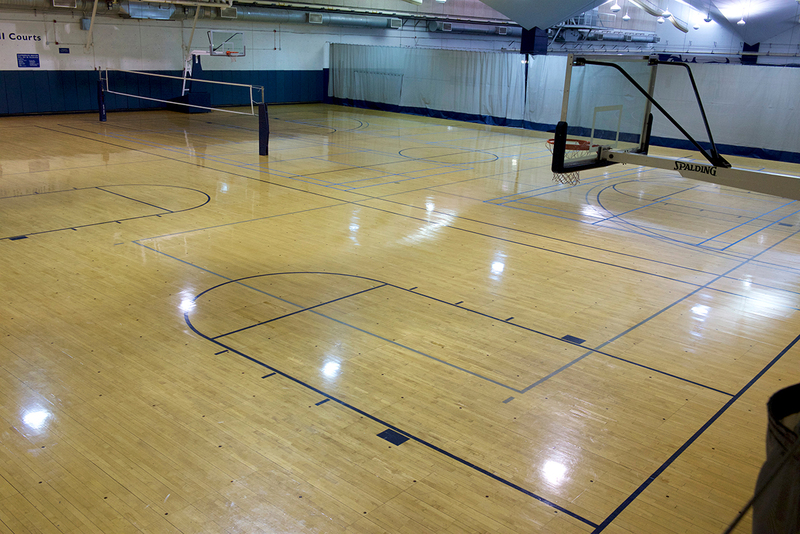 Yates Field House has four wooden basketball courts, two of which can be converted to volleyball courts, that together comprise the largest portable basketball floor in the country. The wood courts were donated to Yates by The Hoya Hoop Club in 1995. In 2016, the courts were named in honor of James J. Gilroy, III (“Jim”), who served as the Director of Yates Field House and Campus Recreation from 1992-2017. Two full-sized locker rooms equipped with showers, changing spaces, and one sauna each are available for Yates members. 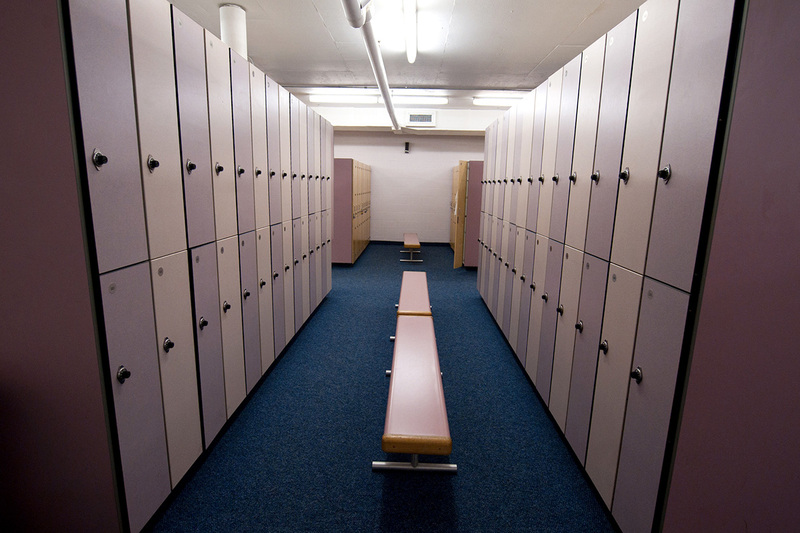 Unoccupied day lockers are available to students, members, and guests. Students and members may take advantage of the Locker Rental program to keep personal belongings in a locker on a more permanent basis. 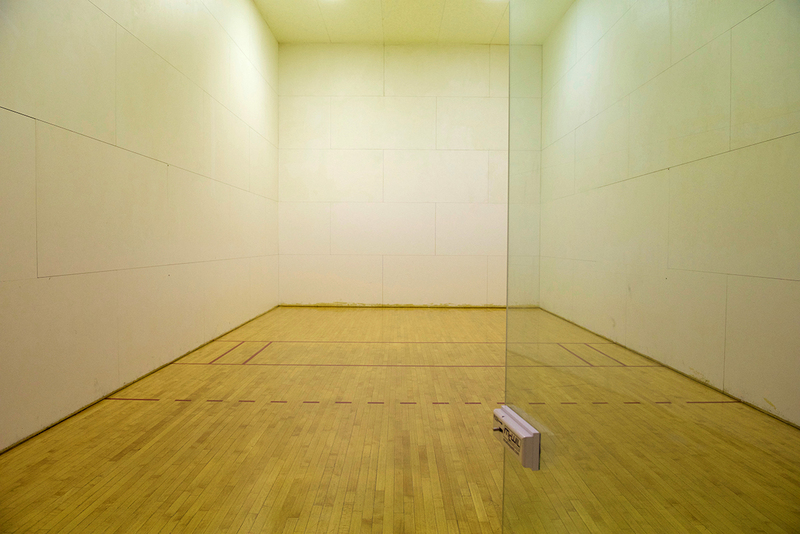 Our two racquetball courts were donated by the Truland Foundation and the Thomas (L ’23, LLD ’50) and Dorothy Leavey Trust. Members can make one-hour Racquetball Court Reservations up to three days in advance. 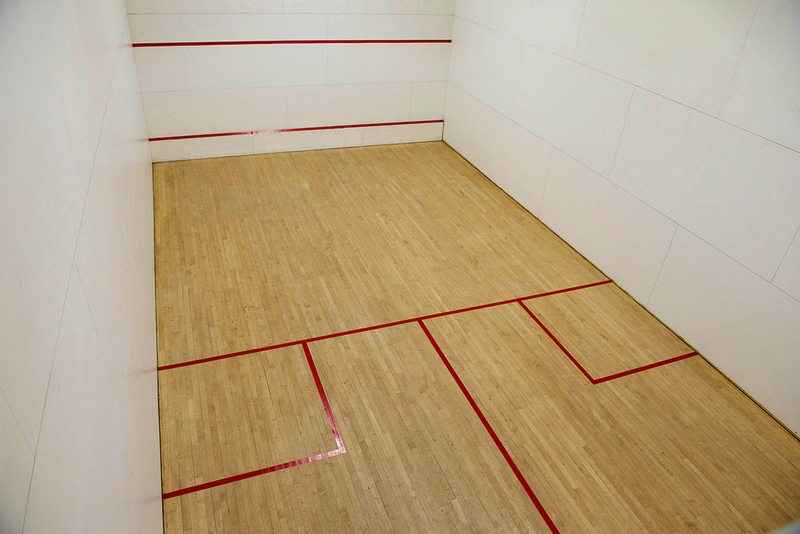 Yates features five squash courts: two International courts and three American courts. The College Class of 1961 donated one of the original courts, and our newest international court was donated by Robin (C ’80) and Ken (B ’81) Kencel. Members can make one-hour Squash Court Reservations up to three days in advance. This area features equipment for use in stretching and core exercises. Equipment includes stretching mats and machines, BOSU® trainers, stability balls, medicine balls, plyometric platforms, abdominal machines and more. 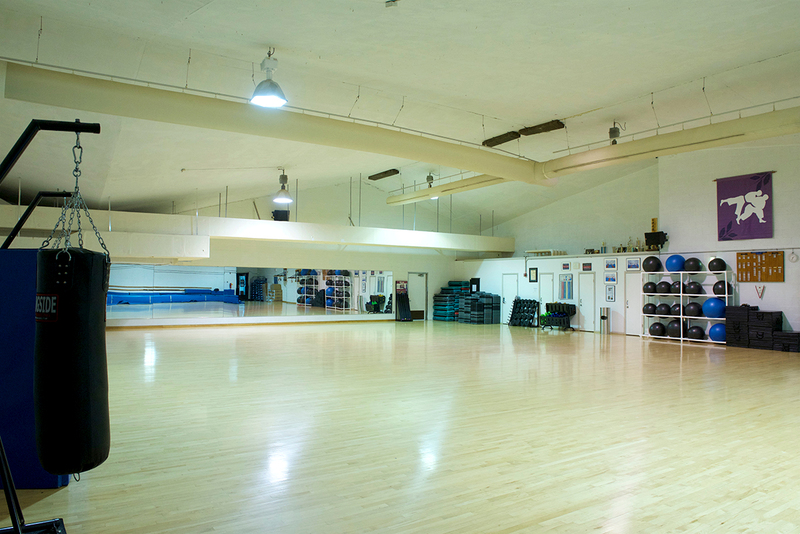 Studio a is a large multi-purpose space complete with hardwood floors and a wide variety of equipment for strength, cardio, dance, and mind-body classes. Studio A is used primarily for the Yates Field House Group Fitness and LRED programs but also accommodates other campus partner groups. When the studio is not occupied by an approved class or group, Yates members may access the studio for their own personal fitness use. A schedule of activities held in Studio A can always be found on the studio door. 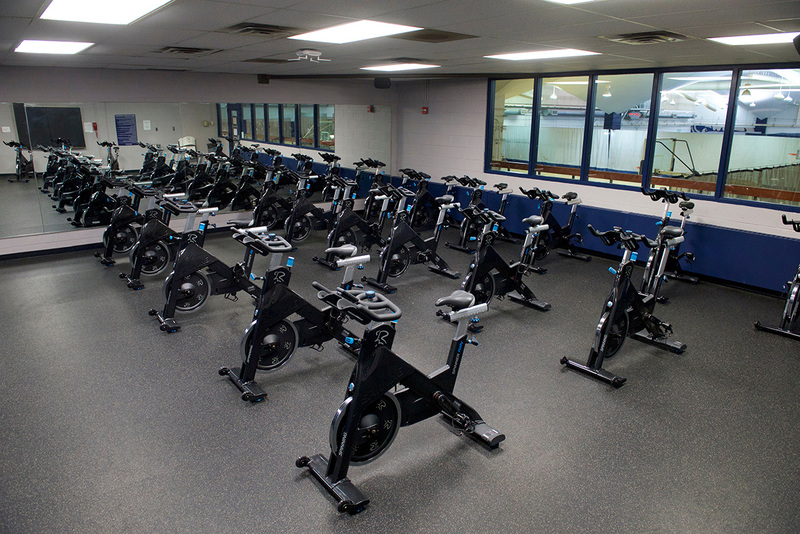 Studio B is a nationally-certified Mad Dogg Athletics Spinning® studio, featuring 21 belt-driven Spinner® Rally bikes, and is equipped with color-changing LED lights that will surely enhance your ride! The space is primarily used for the Group Fitness program, however, some Red Cross Certification Courses also take place here. 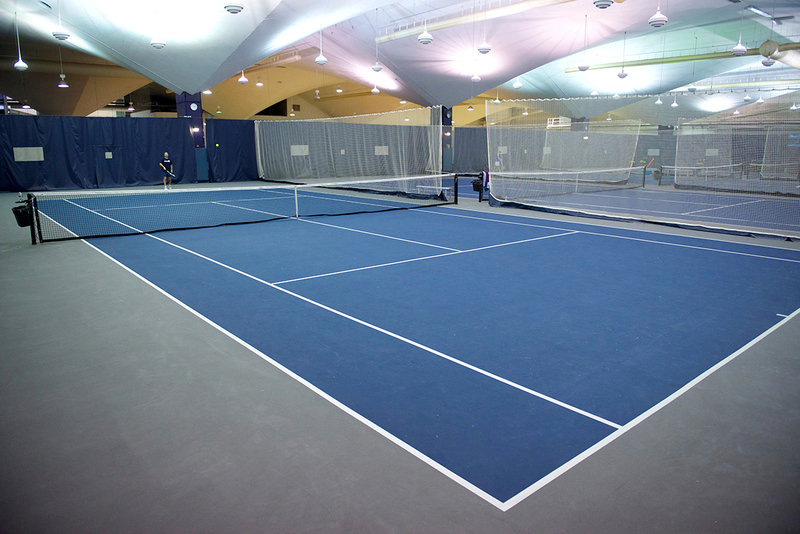 Yates features four indoor doubles courts resurfaced in 2005 with a Mondo surface. Members can make one-hour Tennis Court Reservations up to three days in advance. The Rack was installed in September 2017 and is located in the northeast corner of the facility. This area houses our 3-Olympic Lifting Platforms, complete with bumper plates, 6 Olympic bars, 3 adjustable benches, pull-up/chin-up bars, and space for stretching and auxiliary lifts in-between sets. 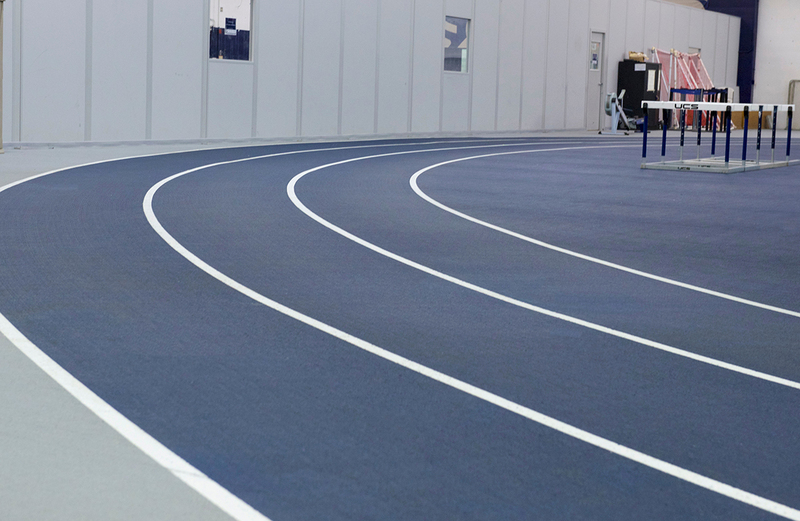 Our 200-meter, three-lane Mondo Track circles the indoor tennis courts. The track can be found on the Main Activity Level at the north end. 8 laps = 1 mile. Yates Field House offers a wide selection of free weights and lifting machines, as well as three Olympic lifting platforms. 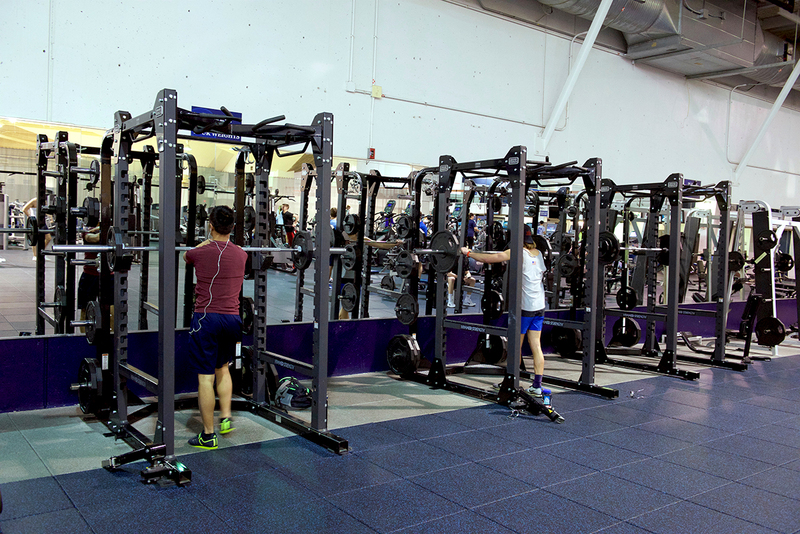 The free weight area includes a complete selection of weights and an array of equipment dedicated to strength training. 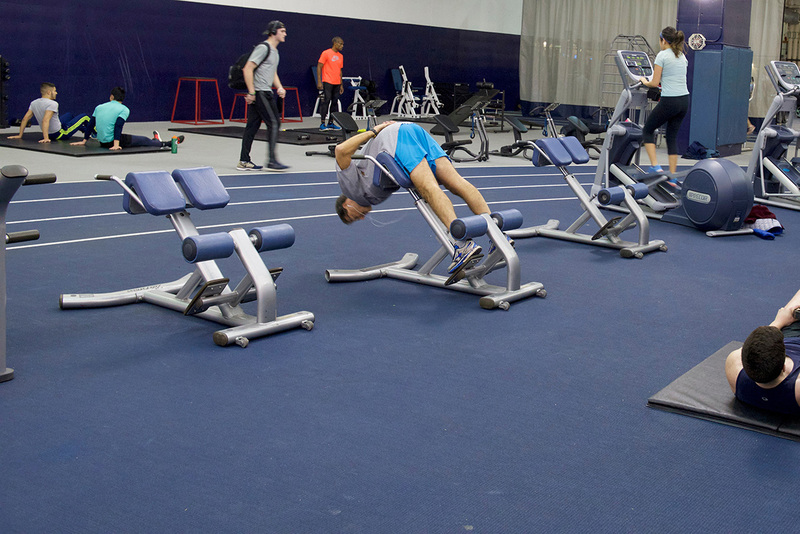 In addition to free weights, Yates Field House features dozens of weight-machines that encompass all aspects of resistance exercises. The free weight and weight machine areas are adjacent to the cardio fitness area. 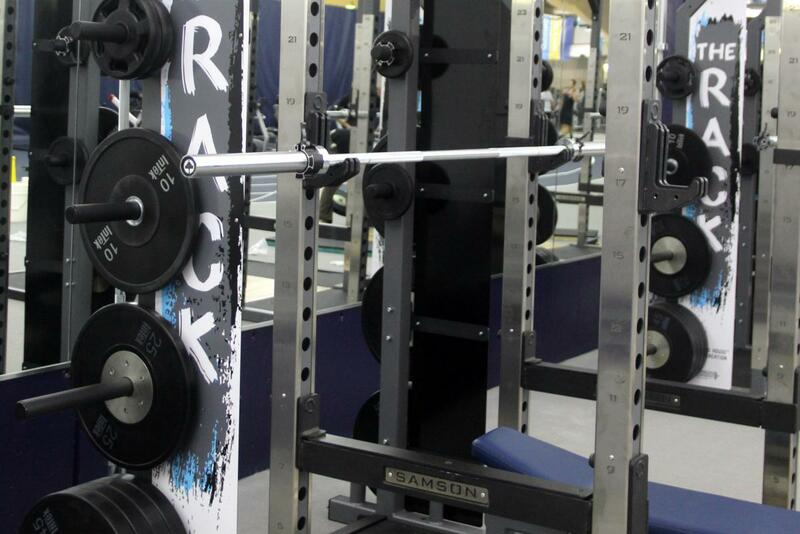 The Olympic lifting platforms, designated “The Rack,” are adjacent to the Stretching area.